In the modern world, computers have taken on a big role in society and are becoming more and more complicated. As a result of this, almost everyone regardless of his job will be required to use a computer at some point in his career. People should also realize that computers are changing rapidly and that their knowledge of computers will become obsolete just as quickly. To remain competitive, workers will need to understand the basics of computing and be willing to update their knowledge regularly. Computer courses are a great way to do this. The need for computer learning has been met with a large number of courses a potential student can take in order to achieve greater familiarity with evolving hardware and software. 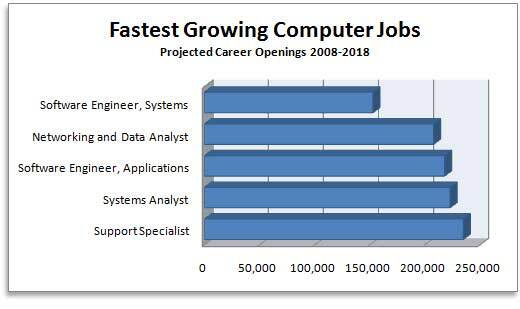 In attending a computer course, students can increase their job eligibility and performance and improve their ability to navigate and participate in the constantly changing computer world. Selecting an appropriate class can be daunting -- especially to those who have little prior computer experience -- so it is important to know, and carefully consider, the needs and options before committing to a class. When students enroll in a computer course, they need to know that the content of the course can vary considerably from school to school, and even from instructor to instructor. Even the most basic courses are likely to be different, depending on the instructors, the computers they use, and the needs of the students. Though people have many different styles of learning, taking the beginning steps towards computer knowledge will be most successful in a classroom setting, face-to-face with an instructor. Most community colleges, libraries and other community centers offer affordable workshops and classes. Private teachers can be helpful as well, but they are usually more expensive. Online computer courses, where a student gets most of the information over the web, and interacts with a teacher and other students through internet “chatting,” can be helpful for experienced students. For new users, online courses are probably not the best choice. Completing even the most basic computer course opens up a user to many new job possibilities. Once they are familiar with the basic workings of a computer, users should find that they are eligible to work in the fields of data entry and telecommunications, and can create simple websites and perform writing tasks. Many entry level computer courses also instruct new users on the use of accounting and spreadsheet software. These are helpful for most administrative positions and are required more and more often outside of office environments. With increasing education, students can learn about the role that servers play in business environments. Knowledge of how complex, multi-computer systems function opens up job possibilities in information technology (IT). Since most businesses require many staff members to set up, manage, and maintain their networks, a qualified IT specialist is useful and the positions available are constantly increasing. Whether a person is just beginning to comprehend the tangible benefits that computer efficiency can afford them, or simply wants to expand upon his existing knowledge, computer courses are an effective route. Resources are increasingly being made available in cities of all sizes to help people reach their desired level of expertise. To begin on the path towards computer knowledge, a student needs only to contact his local library or community center to get involved. The opportunities available are too numerous to pass up.